When Land Rover launched their smallest SUV yet last year, some had doubts if it would live up to its bigger brethren’s heritage when it comes to its British stature, luxurious interior and off-road prowess. The all-new Range Rover Evoque not only appeases the expectations of the larger Range Rovers in a slightly scaled down size, but it carries with it practically with the same off-road aptitude. 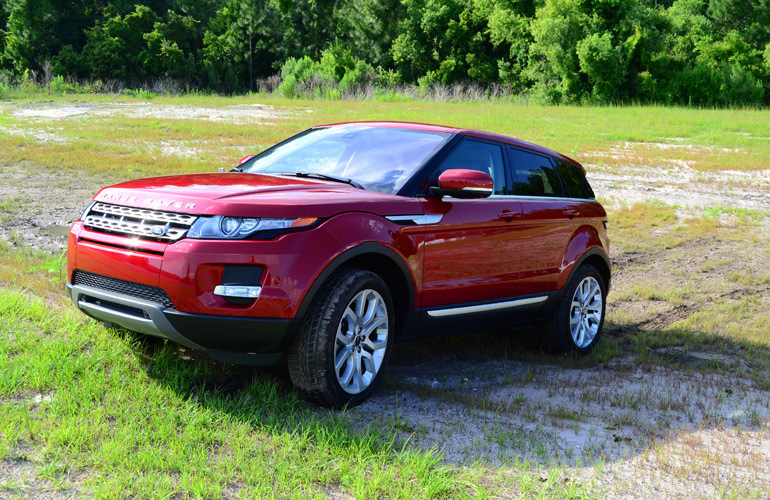 Having received the praise of being the 2012 North American Truck of the Year and Motor Trend 2012 SUV of the Year, the Evoque carries many well-perceived traits into the new 2013 model year with a few additional features. Adding the versatility and off-road abilities of other Range Rover models, the new Evoque exudes an agreeable character yet in a smaller, more economical package. 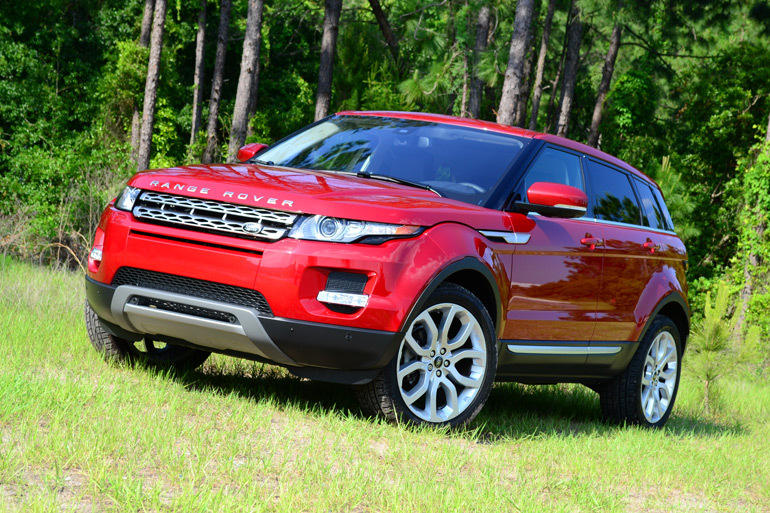 Powered by a 2.0-liter Turbocharged 4-cylinder engine, makes the Evoque more of an economical package but without sacrificing too much of its necessary power to climb inclines and add some pep to its on-road performance. Total power output from the turbo 4-cylinder is 240 horsepower at 5,500 rpm and 250 lb.ft. of torque at a low 1,750 rpm. 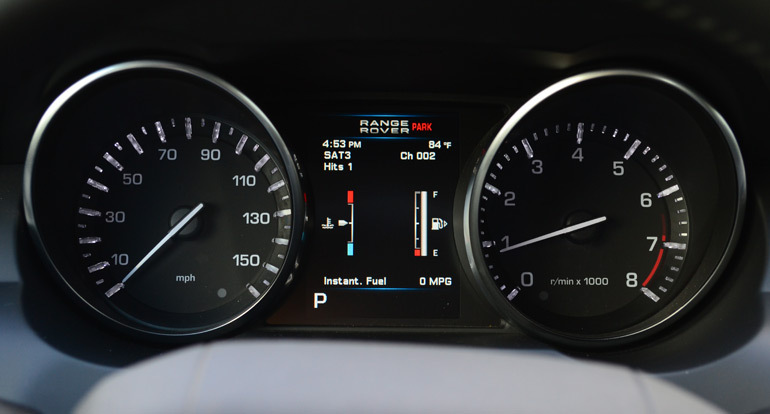 Turbo lag is mostly non-existent where the Evoque has enough low-end grunt to get things moving without hesitation. Power delivery is smooth, basically vibration free due to twin balancer shafts. The standard 6-speed automatic transmission adapts well to your inputs and has a dedicated sport mode with steering wheel mounted paddle shifters. The engine isn’t shy about running up to red line with hardly any diminishing power. Though, around 5,600 rpm and above you really do not produce any additional power, which can be felt in the power delivery. The economical side of the new Range Rover Evoque, getting an EPA estimated 20 mpg city and 28 mpg highway, restates its attractiveness to a broader scope of potential buyers over the higher-priced and more consuming Range Rover models. I was able to better the 28 mpg highway figure getting a nice 29.5 mpg during some interstate travels. City mileage, on the other hand, came in around 19 mpg and slightly diminished from there as I explored some light off-roading. 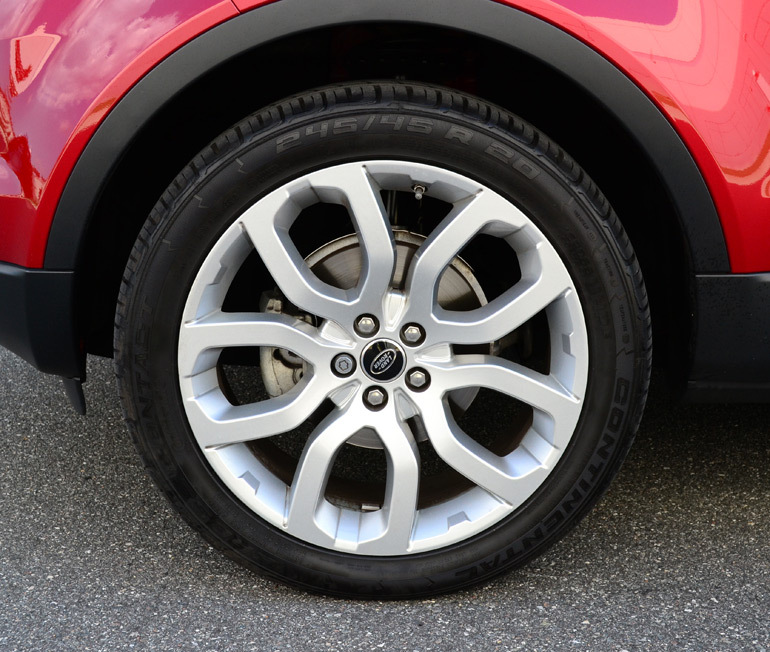 On normal paved road conditions the new 2013 Evoque provides a surprisingly comfortable and smooth ride. The surprising aspect of its on-road ride quality is highlighted by my later explored off-roading experience. 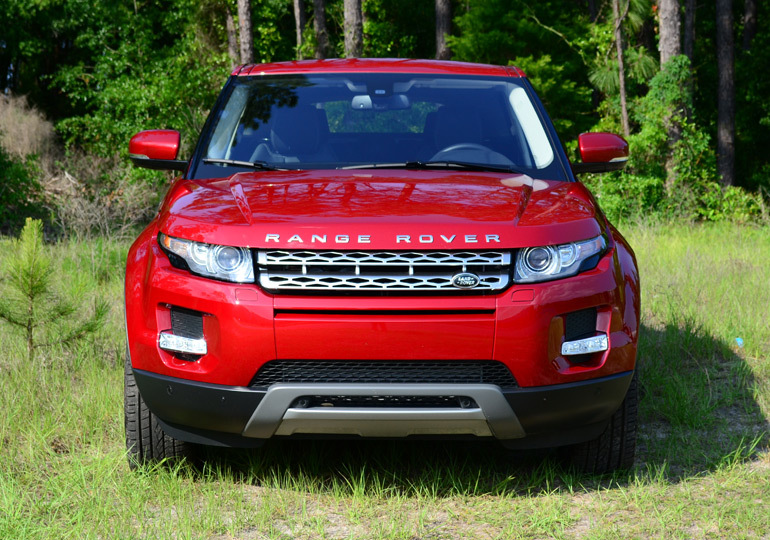 Naturally, Land Rover’s are all about that perfect balance of being a truly capable off-roader while civilized and plush enough for city streets, local highways and even long-haul interstate travel. The Evoque doesn’t disappoint in this aspect. 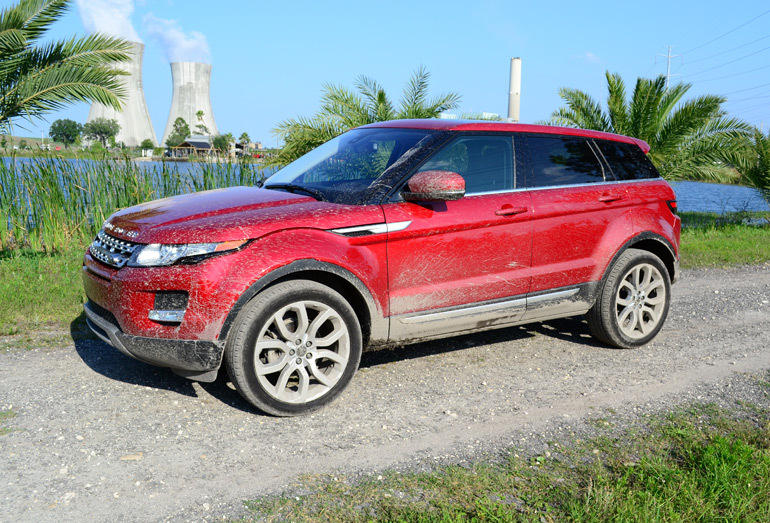 Having had the chance to take the new 2013 Range Rover Evoque down a few off-road trails and gravel roads, I was able to put it to the test to allow its shared go-anywhere abilities to shine through. 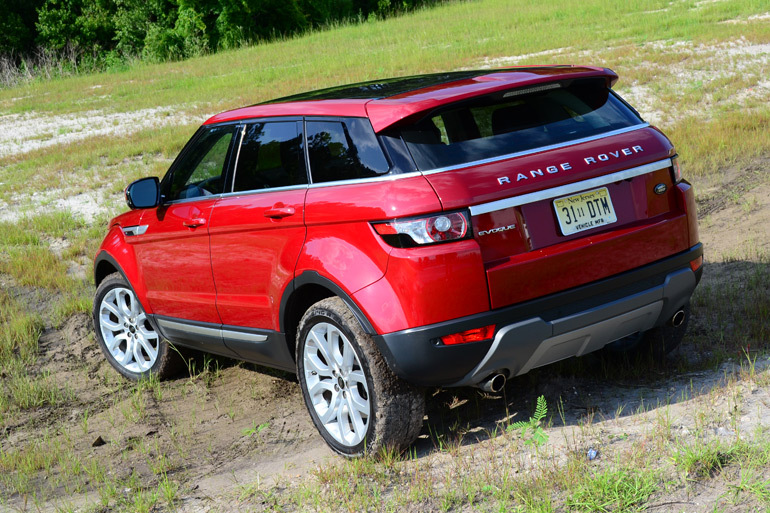 On gravel roads, utilizing the Terrain Response System’s proper setting, the Evoque modulates throttle with a bit of a delay as to not kick up rocks and loose debris. Going over some steep muddy inclines of about 20 degrees, the Range Rover Evoque first expressed some doubts by starting to dig a 4-wheel trap, but then redeemed itself by use of the Terrain Response System’s Mud setting assting me with manual modulation of the throttle to match the a graphical green bar graph zone displayed in the center color LCD gauge cluster information screen. 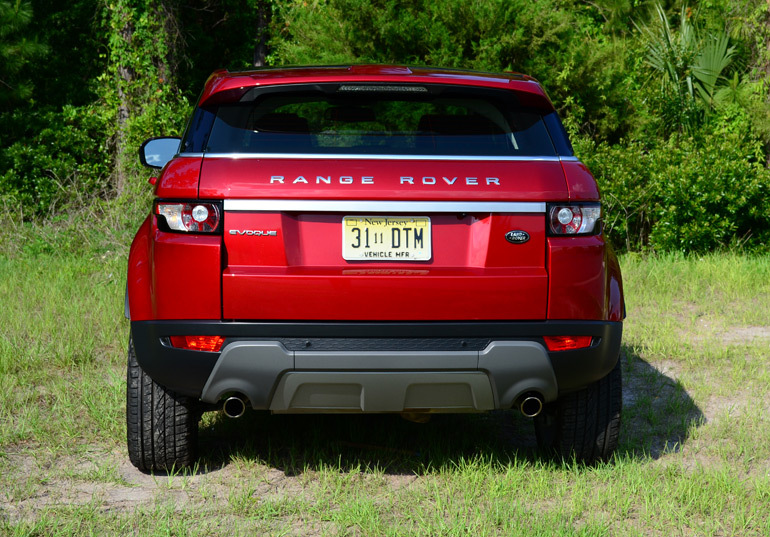 It’s traits like these that really make Land Rover vehicles truly off-road capable. 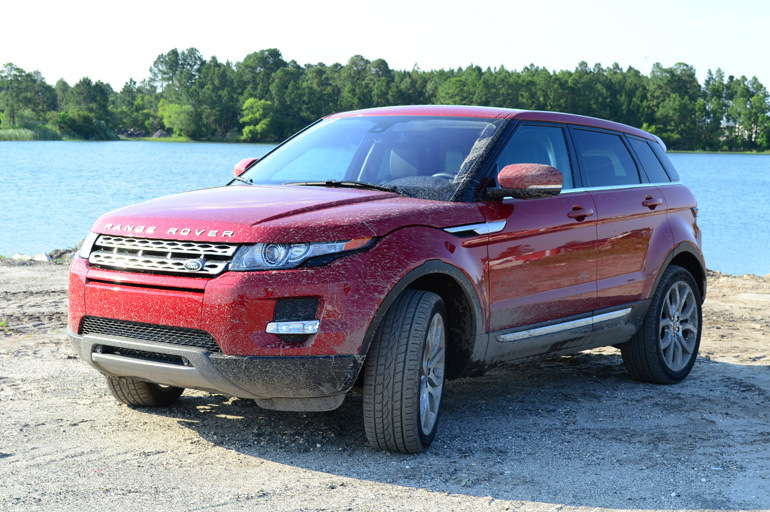 As far as power output being sufficient when off-roading, the Evoque’s turbocharged 2.0-liter combined with the adaptation of the transmission and torque converter, provides enough low-end torque to get the job done. 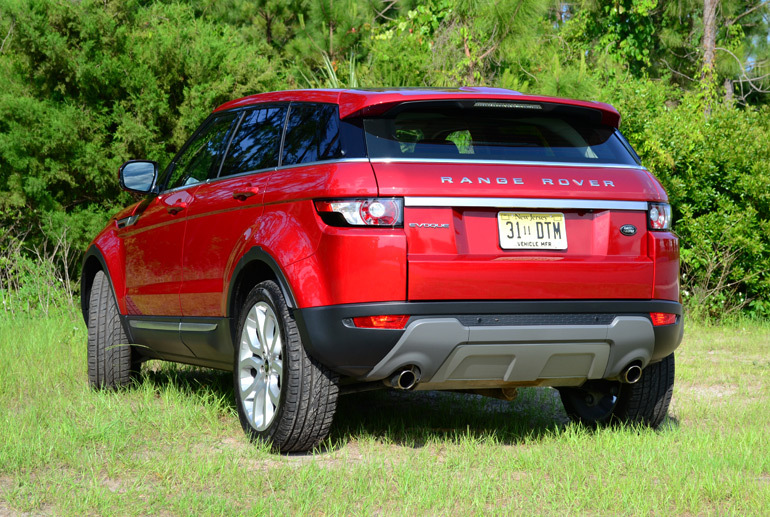 Further proving its ability to prowl the same footsteps of the larger Range Rovers, though it is not as extreme, is the Evoque’s ability to go through almost 20 inches of water thanks to a high-mounted air intake fed through where the hood meets the body on the driver’s side and 8.3-inches of ground clearance. 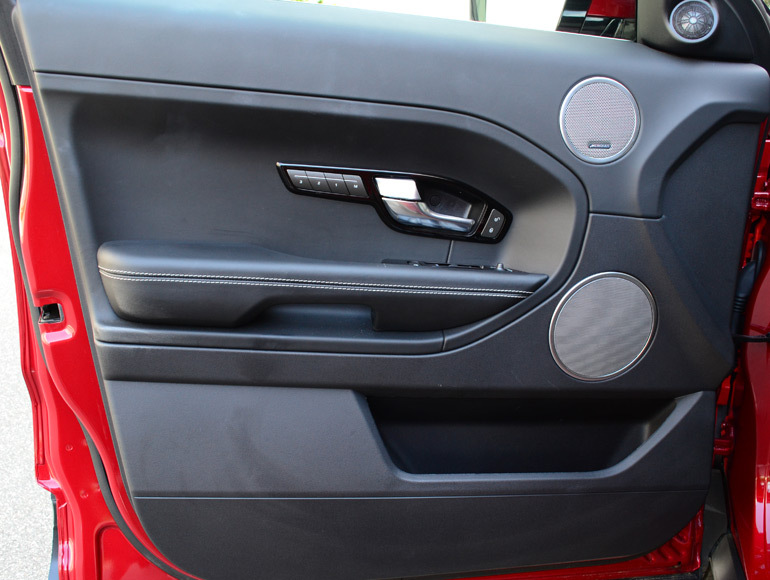 Additional weather stripping is used throughout while the alternator gets its own waterproofing. 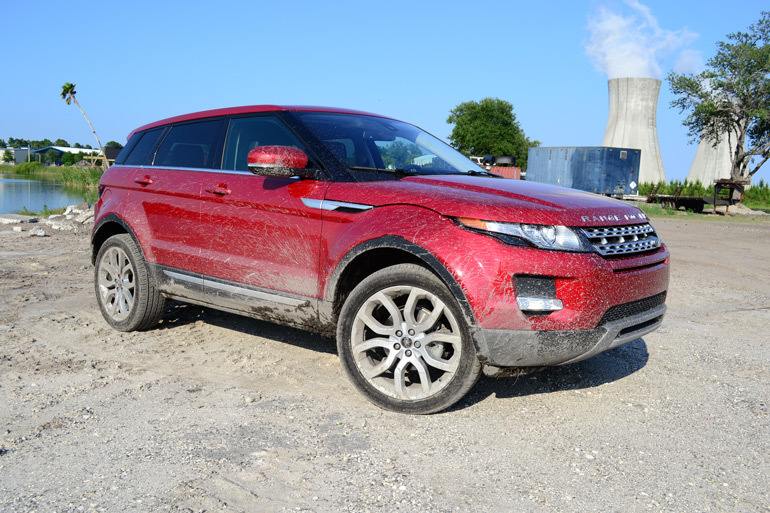 Knowing how sound the Evoque’s chassis is gave me confidence in splashing through mud puddles in the safe, dry and comfortable confides of its cabin. 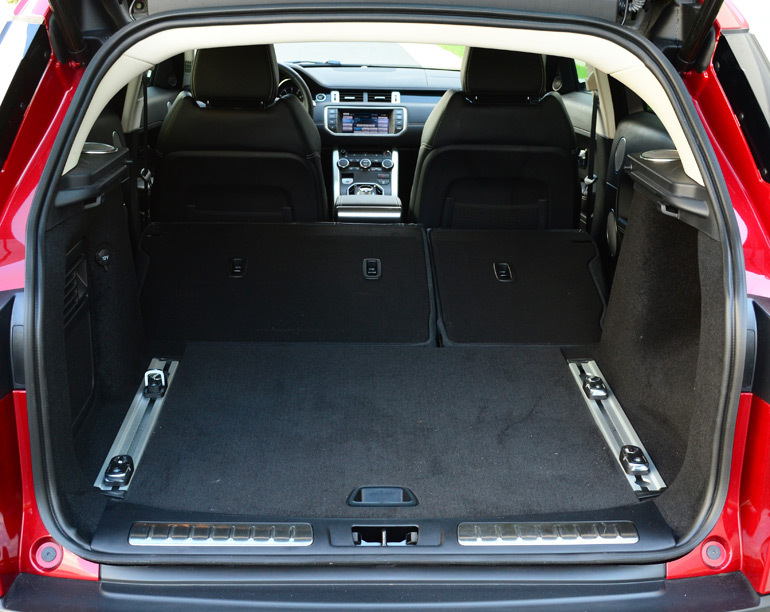 A long list of available amenities really makes the smaller Range Rover Evoque more of a not-so-different smaller variation from larger Range Rovers. The interior, customary to the British heritage, makes way for stitched leather surfaces in just about every direction of the cabin. 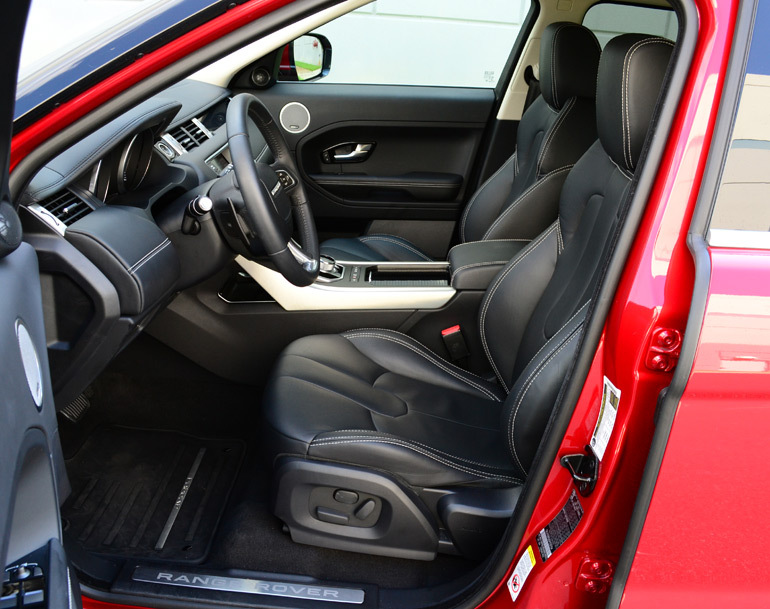 My 2013 Range Rover Evoque Prestige model gets several options to turn the cabin into virtually the same type of haven you expect in its larger siblings. 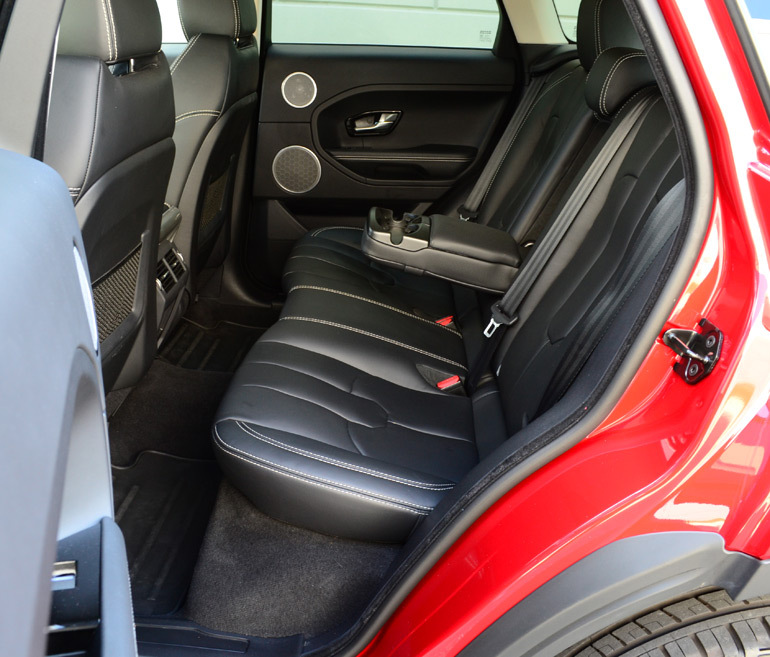 Seating position for front passengers is good while the driver’s seat is in an optimal position for navigating questionable terrain. Moreover, to get you home without damage to the vehicle from serious off-road excursions, a full set of exterior cameras are available to for live view at any speed from front, side, curb and rear angles. 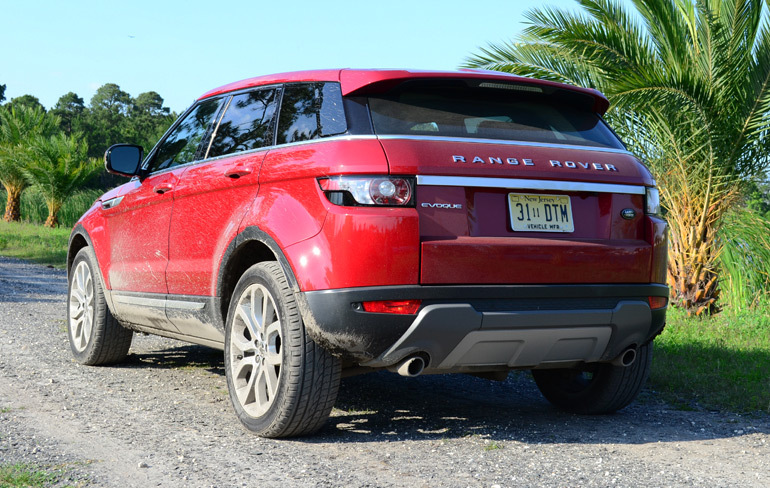 The updated navigation system also has an off-road tracking feature, so you do not get to far off of your designated trail, even if you get respectable gas mileage and can stay out and play a bit longer than your bigger Range Rover brethren. 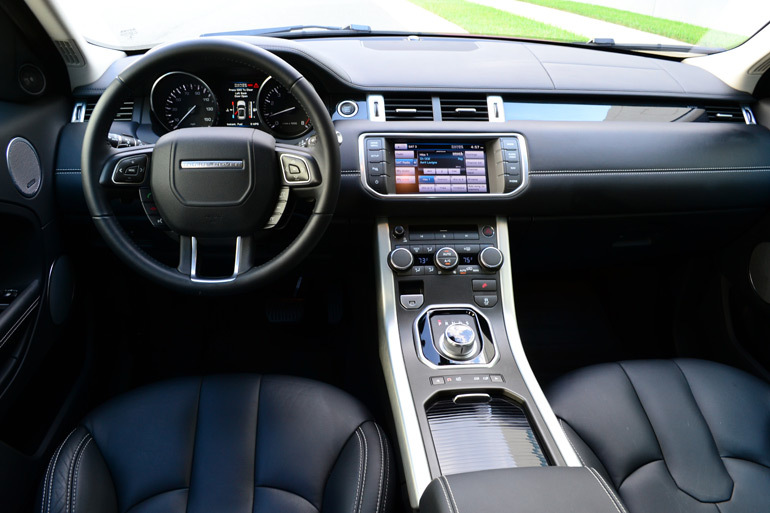 Updated tech hardware helps to reduce the response time found to be a major qualm in older iterations of Land Rover and Jaguar’s infotainment system. The newer system altogether works smoothly with many minimalistic feature sets. You can configure vehicle settings and view vehicle information on the center gauge cluster color LCD screen controlled through steering wheel mounted buttons. 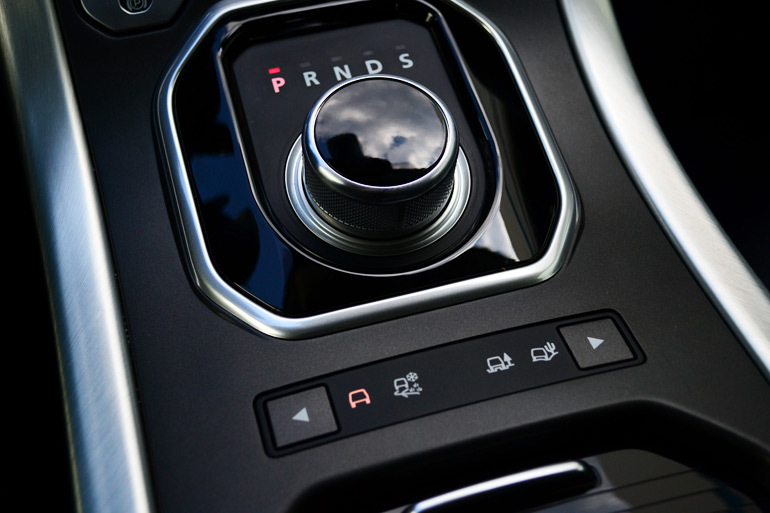 The rising motorized round gear shifter is an expected trait from Jaguar carried over to the Range Rover Evoque to add a nice luxury touch. 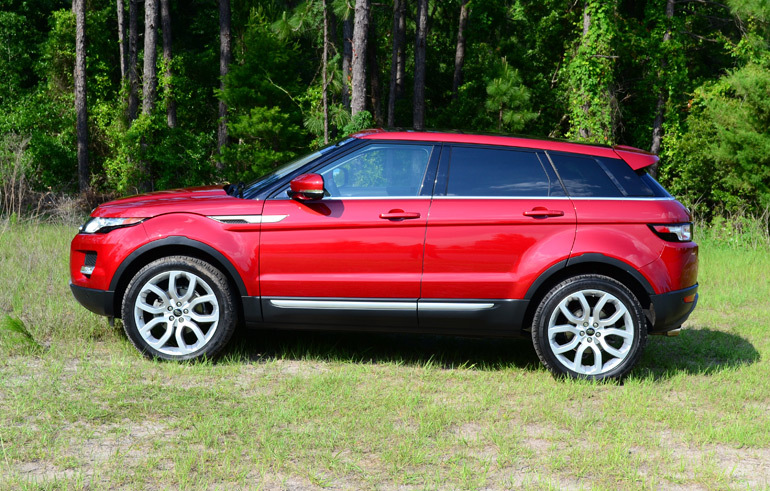 The all-new 2013 Land Rover Range Rover Evoque starts at just $41,145. 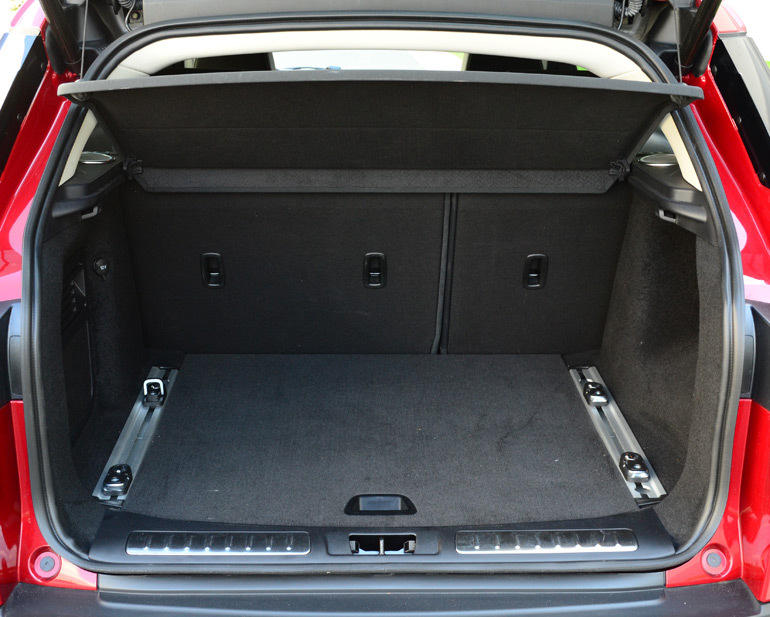 Adding several creature comforts on top of the Prestige Evoque model package selection can place the price point well over $55K. My test vehicle came in at $56,363, which is not all that bad considering how this is one smallish SUV that you can truly take to the ends of the earth. You would be hard pressed to find anything else in its class to really triumph difficult terrain with confidence, offer an authentic taste of luxury and have the transparent ability to transform into a smooth-driving highway machine with good looks.